Apart from yourself, other too have a interest on your brand new Android phone. While most of them just intent to take a look at your new phone, some on the other hand are just waiting for a chance to play a prank. When you leave your phone in a place where it is accessible by your fiends or family members, someone might try to peek into your phone. Fortunately, Android will lock your phone after a few failed attempts at unlocking it. But you will always keep wondering about how your phone locked itself automatically. If you want to find out the person who was trying to unlock you phone, here an android app that will help you do so. 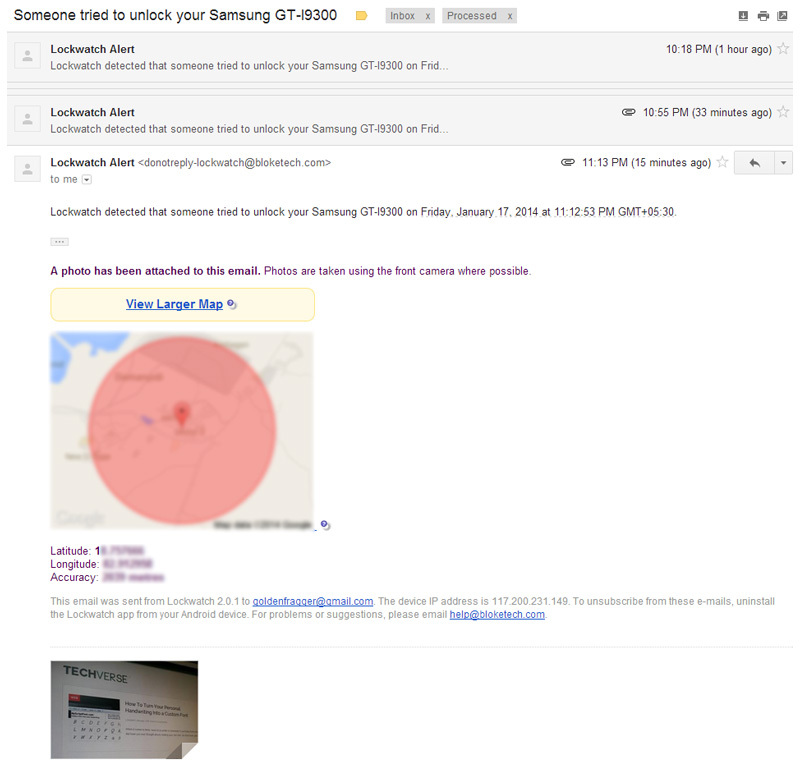 Lockwatch is an android app, that can help you to find out who was trying to snoop into your phone. Once instated, the app will run in your phone’s background and every time someone tries to unlock your phone with a wrong password or pattern, the app will automatically take a photo with your phone’s front camera and email it to you along with the location where the photo was taken. This will possibly capture the face of the person trying to unlock your phone. Even if the person manages to unlock your phone successfully, he won’t even get a single clue that his face has been already captured by the app. For those who have always been wondering how their Android phone gets locked automatically. 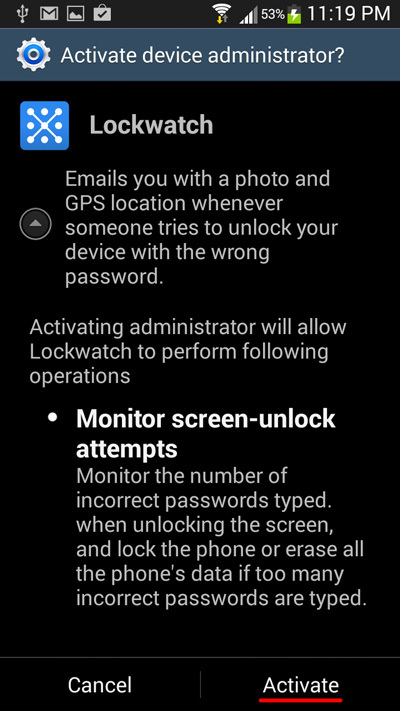 Here’s how you can use Lockwach to make your phone automatically capture a photo when someone fails to unlock it. 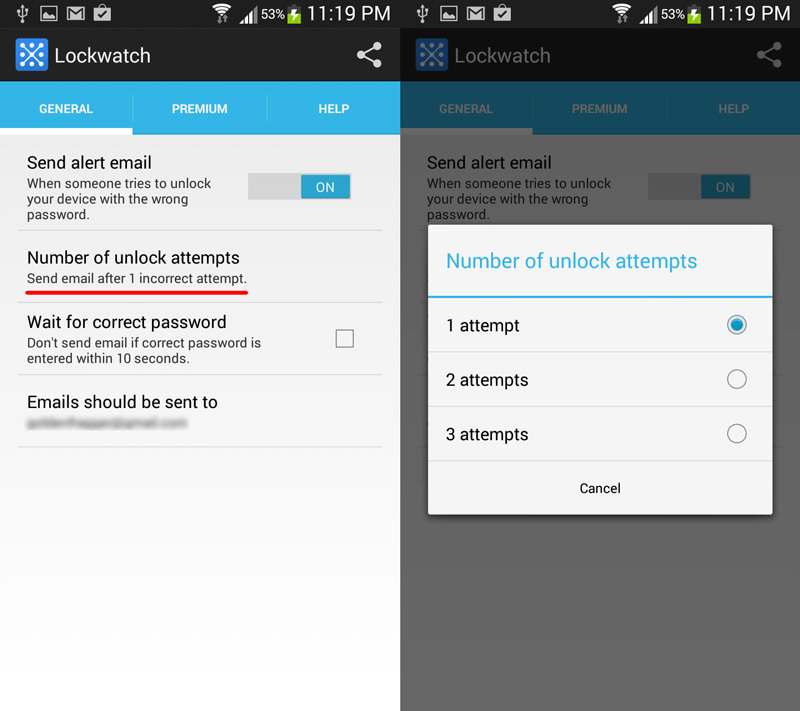 Once you have installed the Lockwatch app on your android phone, here are a few settings that needs to be taken care of. Note: This app requires an active internet connection on your phone, in order to email the photographs and location to you. 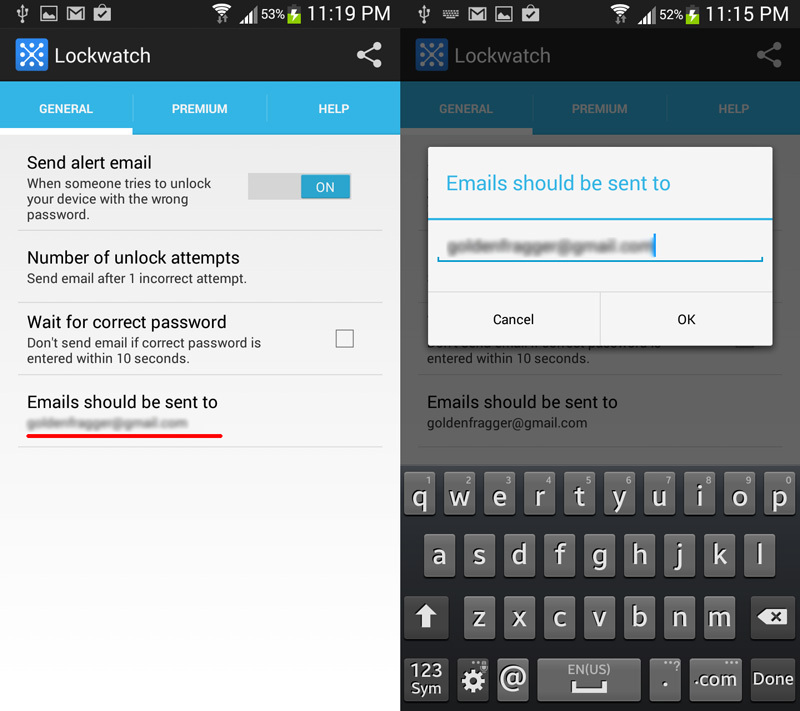 Step 1: Install the Lockwatch app on your android phone. 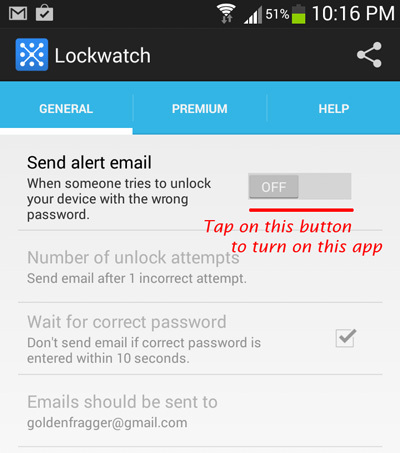 Step 2: Open the Lock watch app on your android phone and Tap on the OFF button beside Send email alert to enable email alerts. Step 3: On the notification that pops up, tap on Activate to provide administrative access to the app. this is needed in order for the app to be able to capture photographs. Step 4: Now tap on Number of unlock attempts to set the number of unlock attempts after which you want to trigger the email notification. Step 5: Tap on Emails should be sent to to set the email where you want to get the email notifications. Now close the app. The app is now configured, the next time when anyone tries to unlock your phone with the wrong password or pattern, the app will automatically capture the person’s photograph and send it to the email address provided by you along with the location on a map. Here’s how the captured photographs and location detail would appear in your email. To see the previously captured photographs, you can tap on view intrusions in the hidden eye app. Tapping on Delete records would delete the previously captured photographs. Another alternative app that you should definitely try is Hidden eye. However the app does not offer a feature to email the captured photographs, instead it stores the photos on the device itself.